How Emma Faye Rudkin earned the only other spot on my “incredible persona” list – Hear "What?" All images are taken by Kathy Rudkin or myself, courtesy of Aid the Silent. Please do not use outside this blog! As a writer, there is nothing that compares to telling the story of someone who is changing the world, someone who day-by-day is helping to move life forward in ways that you only wish you could through words. Until yesterday, I’d really only met one person whom I felt embodied this status, but this morning when I woke up, I realized that list had grown to two. At 19, no one expects you do anything more than have a great sophomore year of college, stay out of trouble and essentially choose your major. Emma Faye Rudkin on the other hand is not your normal 19-year-old college student, and next to the former Olympic historian Dr. John Lucas (whom I interviewed in 2012), she now holds the second spot on my “incredible persona” list. And Emma, well, she earned that spot in a single day. In reality, she probably earned the chance for that spot long before I met her in person, but 12 hours with her yesterday solidified her placement . While the name was formulated two years ago, Emma’s Aid the Silent campaign didn’t really launch until earlier this January. Since then, it has grown from a localized, small effort to an internationally trending campaign with a #ShowYourAids social media element that has kids and adults from the U.S., the Netherlands, the United Kingdom, Australia and Israel sharing selfies with their hearing aids and cochlear implants and is focused on improving the world for those with hearing loss in the areas of education, resources, research and ministry. In just 9 months, Emma has transformed from simply Miss San Antonio into an international role model for teens, young adults and children alike, inspiring them with her story to stand proud, stand tall and know that hearing loss is not a curse but power. Interviewing Emma Faye Rudkin of Aid the Silent. Yesterday, I was fortunate enough to spend all day with her and her mom Kathy. Emma had come to Starkey in Minnesota for what we all hoped would be the best hearing she could get yet. It was an all day process, 10 am to 4pm, but I will never forget the moment we turned her Halo hearing aids on for the first time and tears of pure joy spilled from her eyes as new sounds entered her ears for the first time. In a tiny room with just her mother, myself and Starkey audiologist named Suma Khalil, Emma was my first real-life experience of what it truly means to gift someone with hearing. I’ve been in the CFE before, have seen others be fitted and felt the happiness as they smiled with newfound hearing, but Emma’s reaction was so raw, so pure, and in a way, I was not prepared for it. Tears of joy are a rare but beautiful thing, and while they were quickly overpowered by infectious laughter and beaming smiles, those 50 seconds of uninhibited emotion showed me just how powerful and precious hearing truly is; showed how important the efforts Emma and Aid the Silent truly are. 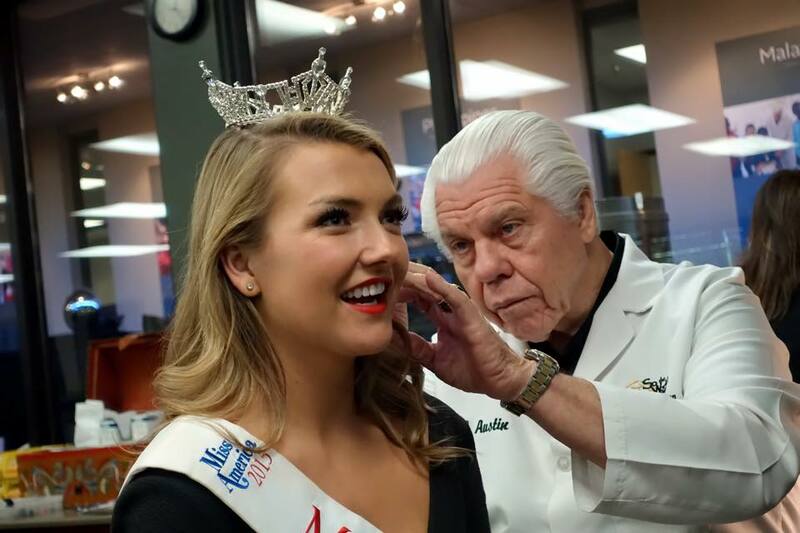 Starkey Hearing Technologies CEO and Starkey Hearing Foundation founder Bill Austin perfects Emma’s ear molds in Minnesota. As young women with hearing loss, Emma and I can both attest to the unfairness of life, but we can also expound upon the ethereal beauty and prowess that comes with overcoming adversity and charging forward into opportunity. I didn’t have a role model when I was younger, didn’t have anyone to look up to or to show me that it was ok to be different, that it was okay to not have ears that worked. I shamefully hid that which I felt was an abomination, and I suffered for years in anger, frustration, depression and isolation. Emma is the role model I wished I’d had. She is hope for the future, a realistic and approachable role model for children, teens and young adults who perhaps feel they have no one in their corner. She is living proof that hearing loss can be part of you, can define you, but does not have to control you. We talked about this yesterday, Emma and I, how important her role is right now, how key she is for hundreds of thousands of children around the world. There are other role models for those with hearing loss such as professional athlete Derrick Coleman and actress Marlee Matlin, but as I told Emma, they are hidden behind red tape and flagged off by their celebrity status as “dream figures.” She is someone who kids can not only believe in, but access, connect with, and view as a real, every-day person. As I told Emma, she is changing the world for so many because she is real. She is who they want to be, and her life is an attainable dream with purpose and light. Emma, Jerry and I at the CFE. A role model that is real holds more power than a role model put forth by TV or sports. Those role models are still essential, don’t get me wrong, for they are the ones who must break the ice and open the doors in society for other role models such as Emma to make the impact they do. But, it is the everyday role models that truly enact change and help others drive it forward. 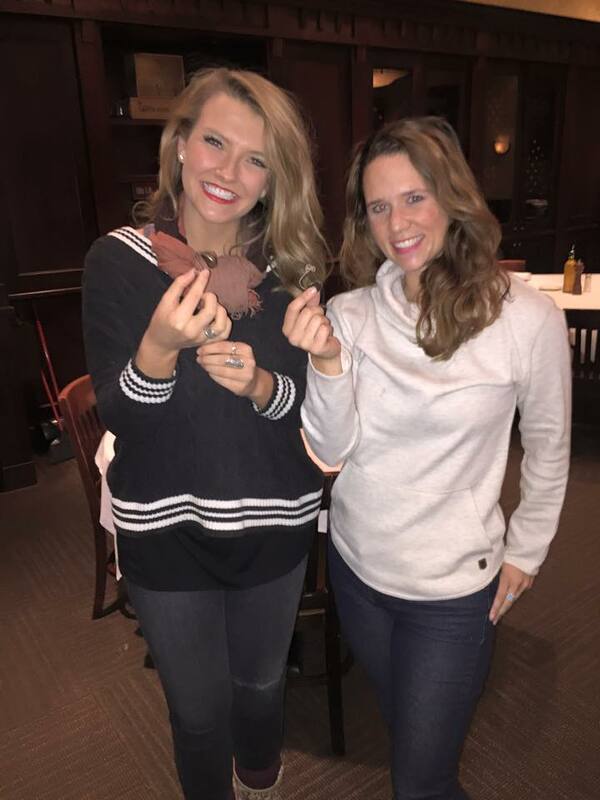 Emma and I doing a frontal #ShowYourAids pic with our matching Halo hearing aids from Starkey! Emma is the first, but she won’t be the last. She is the only female role model for young adults and kids with hearing loss right now, but I doubt as time goes on and Aid the Silent grows that she will stand alone for long. Times are changing. Hearing loss is not the hidden shame it was even just five years ago. It is becoming important, a central theme in not only health and society but also as a new player on the stage of politics and law. It is a platform for charity, philanthropy, motivation and inspiration. It is a defining disability that deserves respect, and it is a secret power in more ways than one. There are many with hearing loss, both young and old, who have this untapped potential inside them, this chance to become more than they believe they can be. Emma said yesterday it is her purpose to help bring light to the places she formerly felt her hearing loss made dark, to show others the way towards a fuller life, one where they are tapping into the power inside them and embracing that which makes them different. I agree with her. She is the first, but she won’t be the last. And this, my hearing and non-hearing friends, is only the beginning. Visit Aid the Silent.com for more information on Emma and her efforts, and if you have hearing aids, snap a selfie, share it on social media and use #ShowYourAids! For the full story about Emma and her incredible passion to help others with hearing loss, please look for a blog next Friday at starkey.com/blog. Gabriella Banda my daughter and I have been so inspired by Emma. As you said in your blog, Emma is a true role model for children and young adults who are Deaf and Hard of Hearing. We had the pleasure of meeting her recently and it was an experience Gabby will not forget. We have signed up for the Aid the Silent 5k run and plan to help any way we can. Gabriella, my daughter is HOH and considers herself Deaf, she wants to be an actress and model and Emma has given us much hope and inspiration that she too can accomplish anything! Thank you for writing such a great story on Emma Rudkin and Aid the Silent.